One of the blogs I cherish most is Curious Expeditions, an extraordinary emporium of the esoteric and ancient. I adore the esoteric, and the ancient, as a general rule. 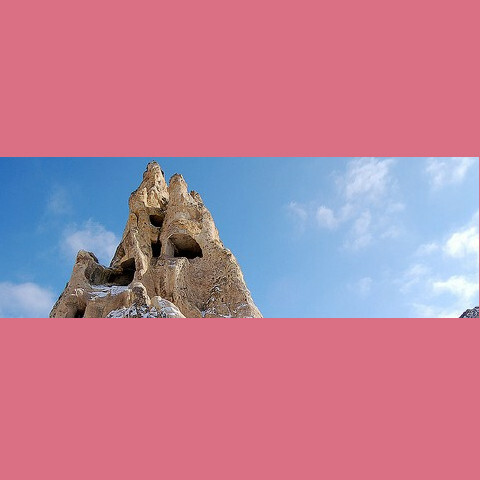 Today I was hypnotised by their report on the architectural oddities of Cappadocia. 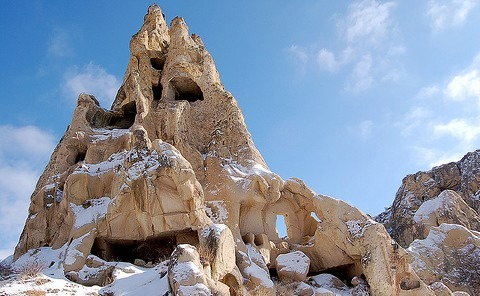 “The region of Cappadocia (Capadokya) is located in central Turkey, and is the setting for one of the strangest landscapes in the world. The deep valleys and soaring rock formations are volcanic rock formations, slowing eroding away to create the strange “Fairy Chimneys” (so called because locals thought they were so magical and extraordinary that only fairies could have created them). Many of these fairy chimneys have been hollowed out by industrious ancient people, who created homes, chapels, tombs and pigeon houses from the soft, carve-able rock. They also tunneled below, creating underground cities, some 8 stories down. 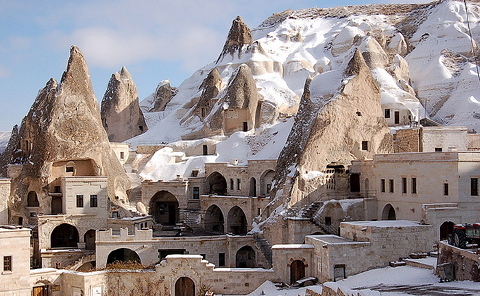 And here’s the Fairy Chimneys Hotel, which must be one of the most exotic hotels on my global “must-stay” list. The image is from the relevant album in Curious Expeditions’ flickr photostream. I promised myself I would visit central Turkey after a recent evening flight over the region, when I gazed down on a magical landscape like no other. Alien, sculpted, vast and dusted with snow, the ridges of central Turkey were thrown into sharp relief under the last rays of the setting sun. As the sky went pure purple and a crescent moon rose over Cappadocia, I drifted off to sleep in my comfy Singapore Airlines seat, dreaming of this otherworldly land. Curious Expeditions’ blog post has rekindled my desire to find myself in this magical moonscape on earth.